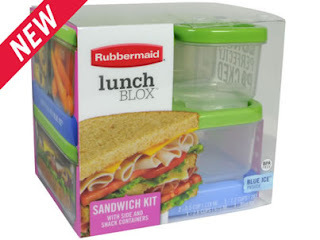 My family and I really like the Rubbermaid LunchBlox. It keeps the sandwich and other items fresh in the right shape as when i packed them up. My kids like that the food stays cool and the fruits and veggies are still crunchy at lunch time. I like that there are different sizes to pack away many types of foods for the kids for lunch. 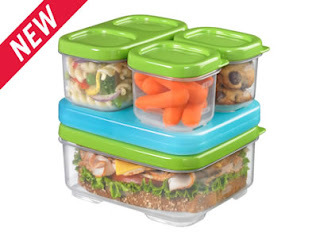 We give the LunchBlox a 5 out of 5 stars! it keeps foods cool and fresh! 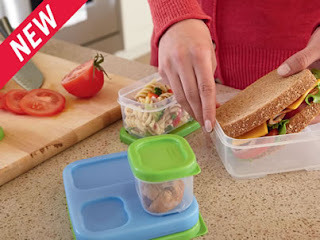 disclosure~ i received a Rubbermaid LunchBlox Sandwich kit for the purpose of the review. pics are from Rubbermaid product page.